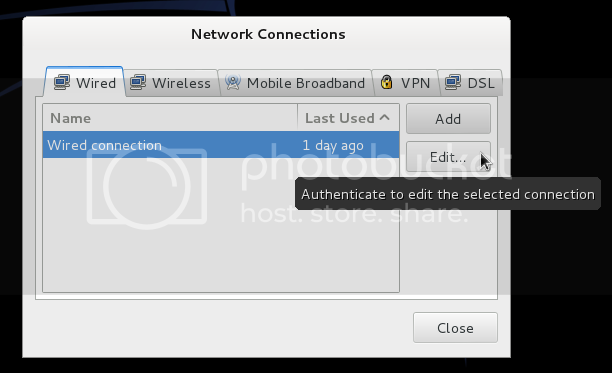 When i was still using Backtrack as pentest Operating System on my netbook, i need to configure everything about networking, include sharing connection over eth0 interface. I must type on the terminal to set up the interface, then set the IP and netmask, etc. After setting the interface connection, i also must to configure iptables to forwarding the internet connection from the other interface into eth0, and the last step i must turn on forwarding rule. It's really fun, although need several step to do it. But, when i am using Kali Linux, i realize that the step which can i do on backtrack doesn't running on Kali Linux. After learn several option about networking on Kali, finally i can share connection over eth0 on Kali Linux. Okay, the first assume that we must have connected internet (not using eth0). 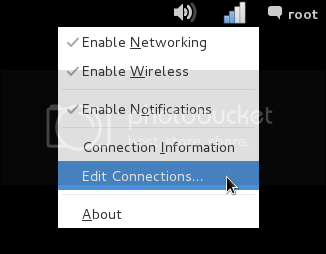 Next, when your connection are ready, you can right click on the networking icon, select Edit Connection. When the window "Networking Connection" appear, click Wired tab, and select Wired Connection, then click Edit. Configure Wired Connection on IPv4 tab, set the method is "Shared to the other computers", don't forget to checklist Connect automatically, see figure below. Save the configuration within click Save. Now, your computer are ready for sharing connection over eth0 interface on Kali Linux. 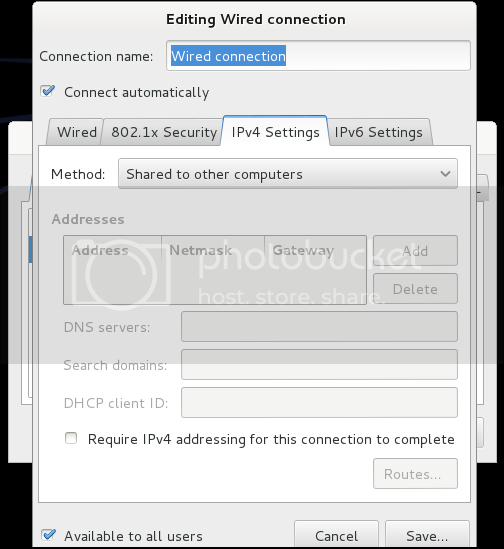 You can share with plug-in the UTP cable on your computer and the other computer, and DHCP Server will give the IP Address automatically for the other computer which you have shared internet connection. Let's share! I have the "edit connections" option but when I click on that, no window is opened.